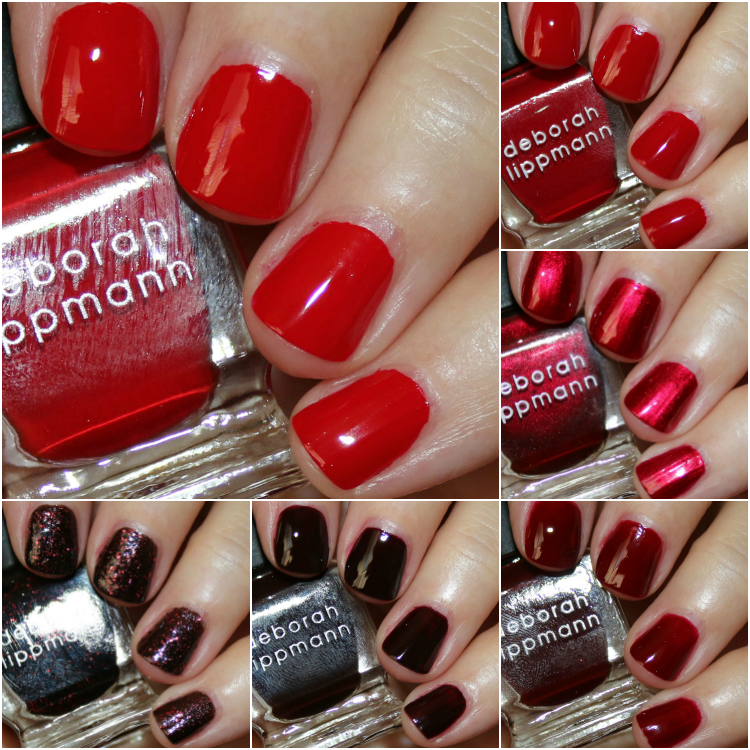 Today I have the new limited edition Deborah Lippmann Lady in Red Fall 2017 collection. 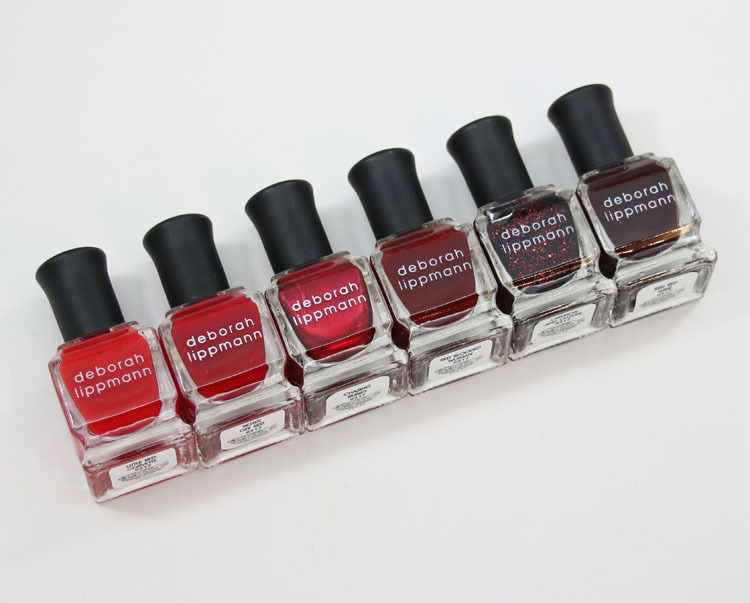 This set of mini polishes features six red shades in different finishes. It comes in a really cute black box with fingers in red polish all over it and for some dumb reason I didn’t photograph it! If you check my Instagram it’s on there though. Little Red Corvette is a bright red creme. This is two coats. Better Off Red is a pomegranate red creme. This is two coats. 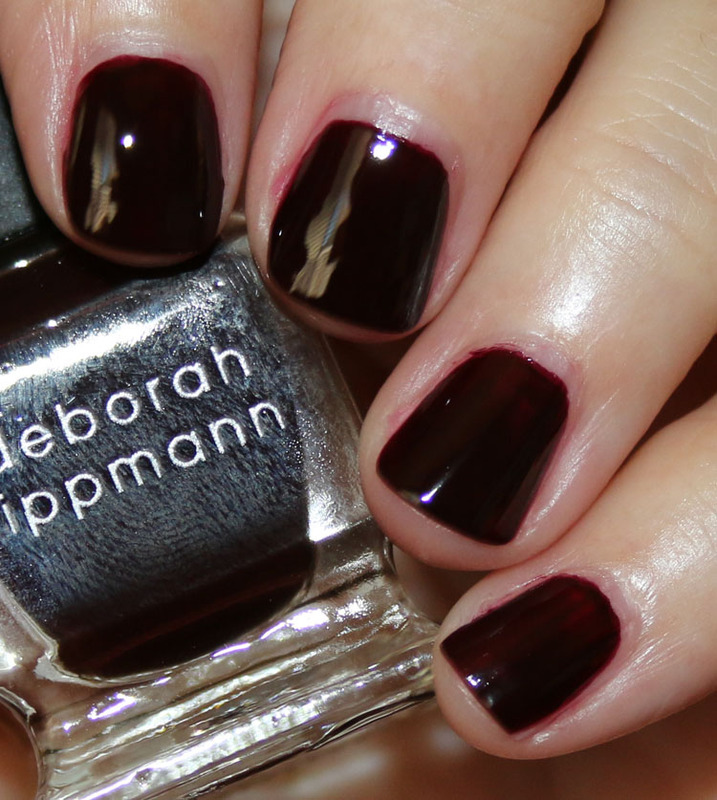 Chasing Rubies is a velvety red shimmer. This is two coats. 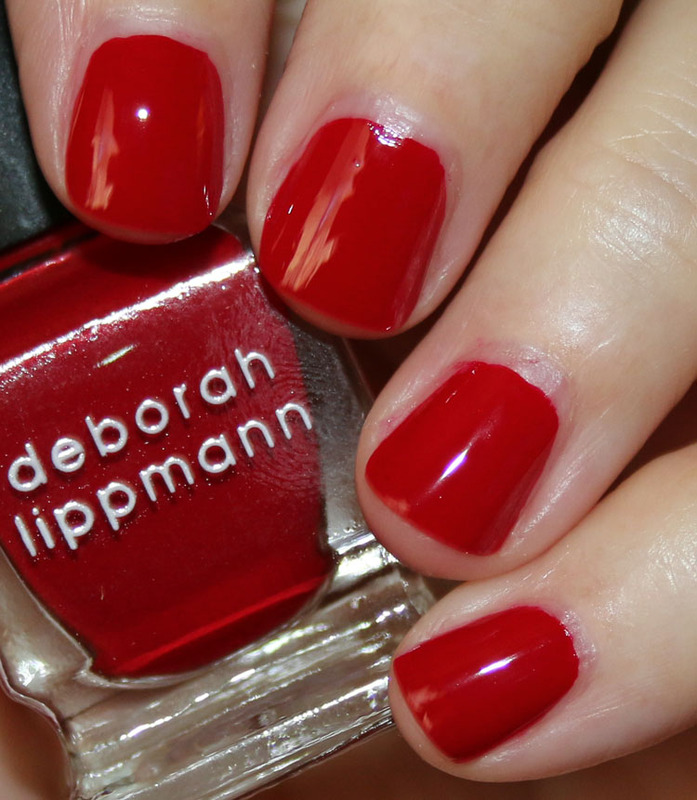 Red Blooded Woman is a deep red creme. This was a little patchy on me even with three thin coats. Red Red Wine is a vampy bordeaux creme. Perfection in two coats. 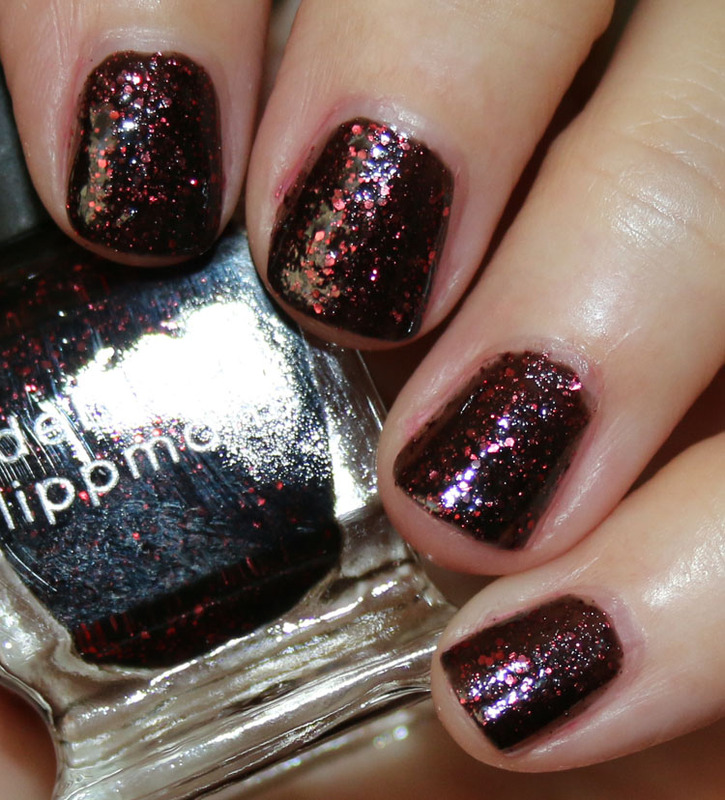 Crimson And Clover is a blackened red with red glitter chunks. This is two coats. It smooths out for the most part when you use a top coat. 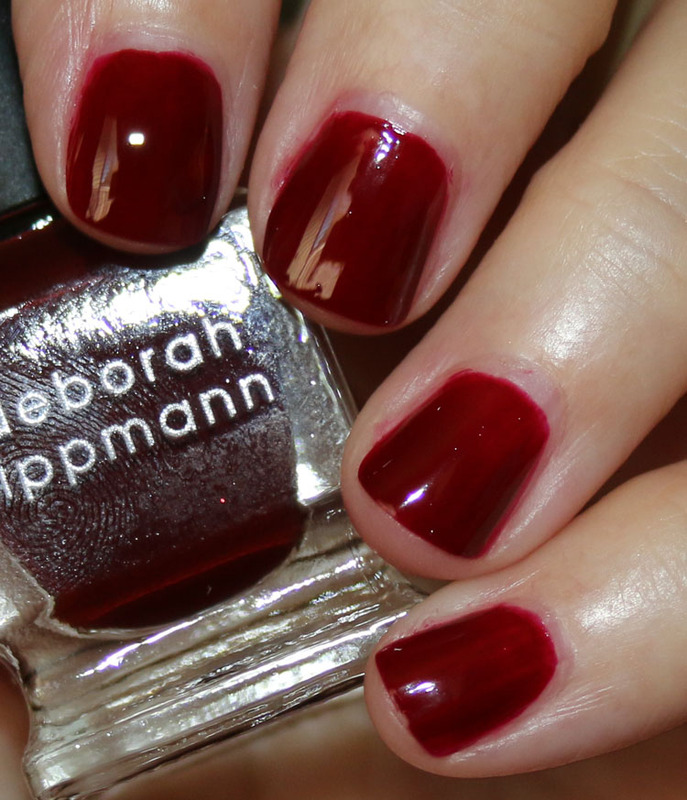 You can find Deborah Lippmann Lady in Red Fall 2017 this month at Neiman Marcus, Bloomingdale’s, Barneys New York, Nordstrom, Sephora and the Lippmann site. 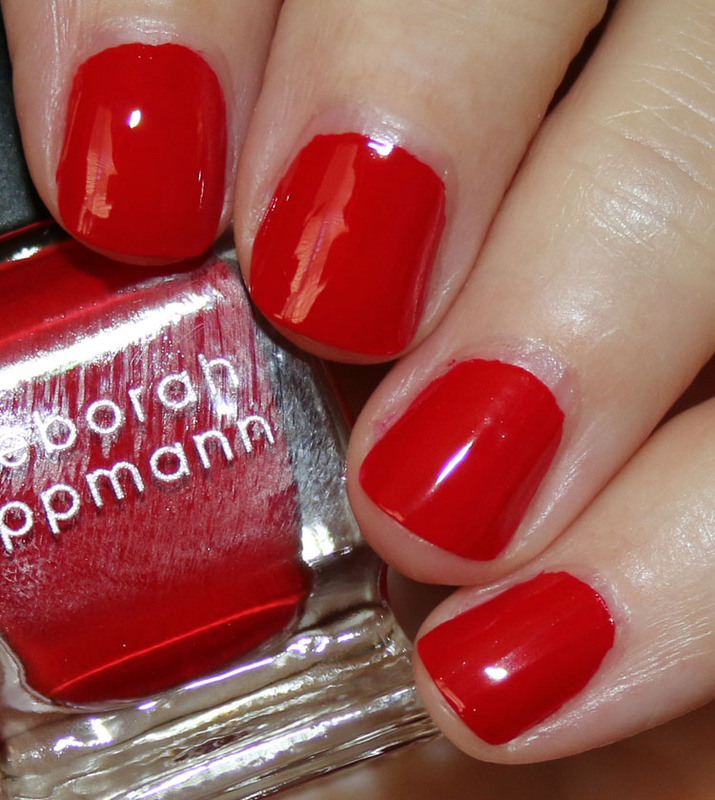 Are you a fan of red nail polish or not so much? Chasing Rubies is so pretty! They’re all very pretty but I love that one. I love your web blog! Better Off Red, Little Red Corvette and Red, Red Wine are my favorites. I really like red polish, but for some reason I never seem to wear it. 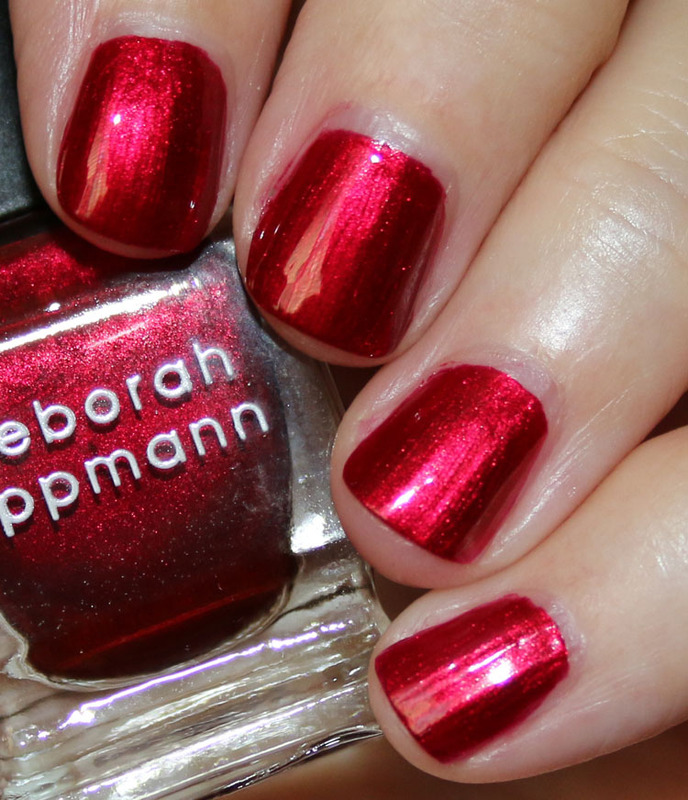 Chasing Rubies is gorgeous, it kinda reminds me of a polish OPI put out a couple of years ago – part of a holiday collection perhaps? SO glad you swatched these! I love red but, except for Crimson and Clover, I feel as if I have Comoran pretty close to these already! Waaw,.. the Chasing rubies shade is very nice,.. I’m in love with it,..